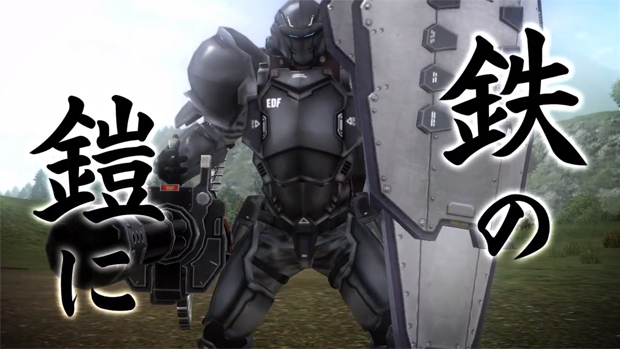 Here we have a video describing the capabilities of a whole new bug-crushing addition to the Earth Defense Force 2025 roster of unit types, which I believe is called the "Fencer," based on the trailer. The name's a bit odd, seeing as it comes equipped with a massive spear, which isn't exactly what I would call a fencing weapon. But who cares? GIANT SPEAR! This could totally change the way I play EDF. Normally, I'm just running backwards, trying to create as much distance as possible from the hordes of insects and robots and firing madly (it's not unlike Serious Sam for me, actually). But with a countermeasure like that spear at the ready, I may be more inclined to get into the thick of things, which is a really good way to get killed. And that is definitely in my wheelhouse.